This YSL Babydoll Kiss & Blush was one of those products that I just knew I was going to go a bit nuts for as soon as I laid eyes on it. A series of shades of cream blush/lip colour that apply liquid and then dry to a matte but radient finish. The formula is a mixture of pigment and oils, so whilst the finish is on the matte side, it doesn’t mean it’s drying at all. But will last a long time on the lips. There’s a shade in the YSL Babydoll Kiss & Blush range for pretty much everyone, going from brown-nudes, to bright fuchsia pinks. All housed in a neat square bottle with glam gold lid. 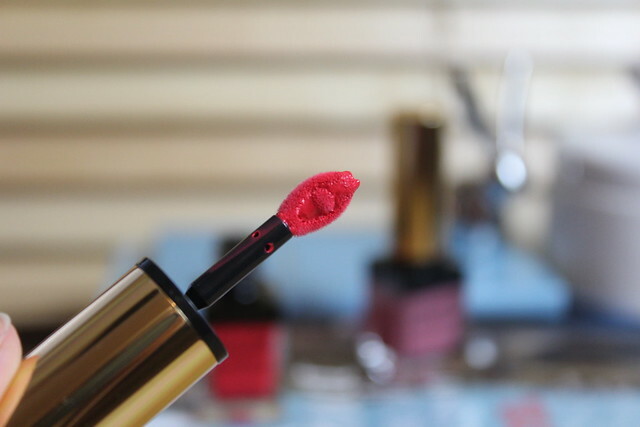 The applicator is also really interesting – it’s got a little sort of lip shape, with a slightly loose bit in the middle (like a little ball) that sort of helps hold a bit more colour on the applicator. The two shades shown here are 5 ‘ Rouge Effrontee’ (the bright pinky red) and 9 ‘Rose Epicuren’ the dusky pink. Both will work well on both lips or cheeks – as the product is designed for both – with Roge Effrontee being a great statement lip, or blended for a more subtle effect on the cheek. Or Rose Epicuren as a pretty ‘my lips but better’ shade or healthy pink flush. 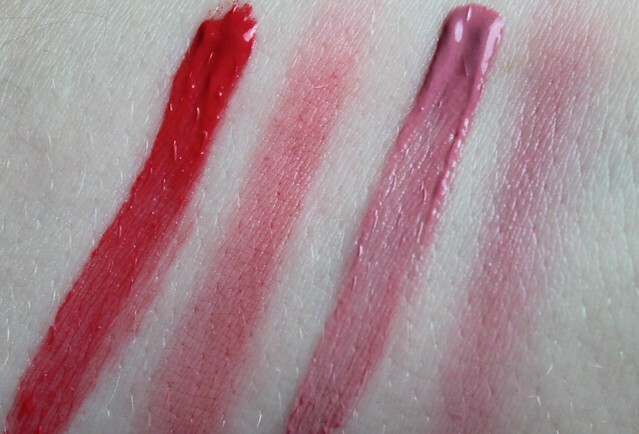 I’ve shown them above swatched heavily and lighter/blended out a bit so you can get an idea how one might look on the lips (thicker) or cheeks (blended out). It’s a tough call which shade I prefer as really like them both. I really have my eye on a couple of the other shades as have a feeling theres a corally pink shade in the range that would be amazing for on the lips for my wedding day- something peachy and flattering, but with a longer lasting matte finish for the lips. Lovely stuff. You can see my instagram of the other shades in the pic above. I think the super bright pink might be calling my name a bit too…! 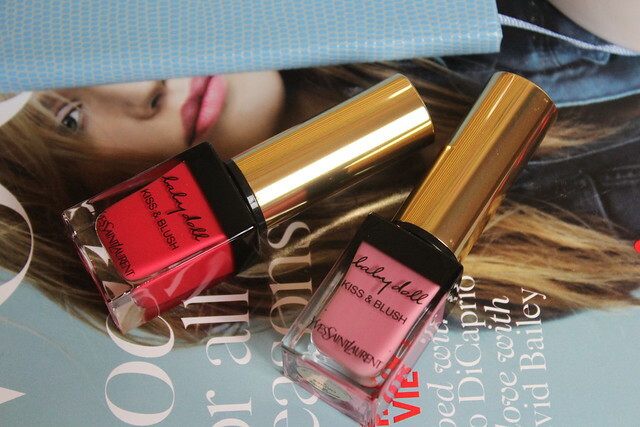 What do you think of these, fancy getting in on the YSL Kiss & Blush fun?! They don’t launch until the end of April – but you can get picking your shades now ahead of the launch! Wowww I guess I know what I’ll be purchasing next…. I think these are a really great concept. I wonder how well they’ll work as a multi-tasking product though? I never seem to have much luck! And the brand is one of my fav! Lovely Spring/Summer collection. The shades are pretty & the packaging is unusual. Oh wow, these look amazing, might have to treat myself to one when they come out!